Packard Bell recently announced the details of their new LCD Monitor that belongs to Maestro series, named Packard Bell Maestro LED 220 and the Packard Bell Maestro LED 240. 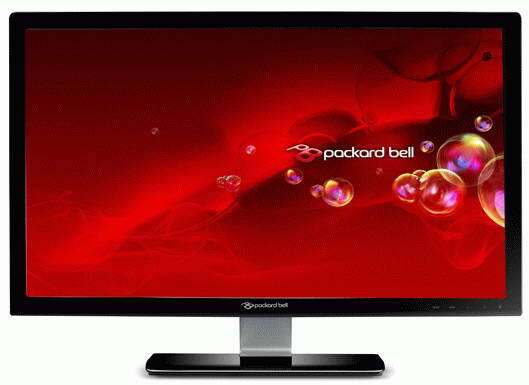 Packard Bell Maestro LED 220 comes equipped with a 21.5-inch display while the Packard Bell Maestro LED 240 packs a 24-inch screen.Both Maestro LED monitors has a Full HD resolution of 1920 x 1080 pixels and has a thickness of 16.5mm. Both the new Packard Bell Maestro LED Monitors Features 2ms response time, LED backlit, HDMI and DVI with HDCP, stereo speakers, Energy Star 5.0 compliant and 12,000,000 dynamic contrast ratio. Price of Packard Bell Maestro LED 220 and 240 Monitors will be revealed later.